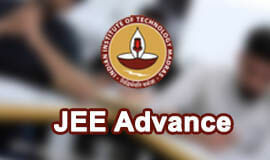 Joint Entrance Examination (JEE) Main is conducted to offer admissions to interested candidates in undergraduate engineering programmes at NITs (National Institutes of Technology), IIITs (Indian Institutes of Information Technology) and other centrally funded technical institutions (CFTIs) located across the country. JEE Main Paper-1 evaluates the aptitude of candidates who want to pursue BE/BTech at NITs, IIITs and CFTIs. This exam is also the eligibility test for JEE advanced which is the entrance exam to secure admissions in programmes on offer by 16 IITs and Indian School of Mines (ISM). The top 1,50,000 score holders in JEE Main are only eligible to apply for JEE Advanced exam. 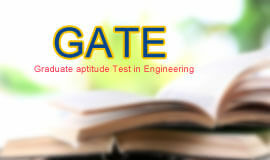 This engineering entrance exam will comprise of two papers. 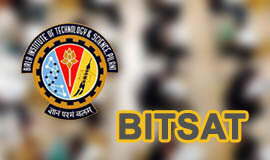 Candidates seeking admission in BE/BTech programmes at NITs, IIITs and CFTIs need to appear for Paper-1 whereas Paper-2 needs to be given by aspirants for architecture and planning programmes. JEE Main Computer Based Exam (CBE) will be of three hour duration and consist of question from subjects such as Physics, Chemistry and Mathematics. All questions will carry equal weightage. Marking: The exam pattern for JEE Main will be such that for every correct answer candidates will be awarded a total of four marks and for every wrong answer one mark will be deducted. However, no deduction will be made from the total score if no response is selected for a question by the candidate. For every question asked in the exam, only one response is correct so candidates are advised against selecting multiple responses. JEE Main pen and paper based examination will be a three hour duration entrance exam. The JEE Main exam pattern is such that the question paper will be divided into three sections each for Physics, Chemistry and Mathematics . Each section will contain multiple choice questions from the specific subject after which the section is named. Each question in the pen and paper based examination will carry equal weightage. Marking: For every correct answer in pen and paper JEE Main examination candidates will be given four marks and for every incorrect response ¼ mark, that is, one mark will be deducted from the candidate’s score. No deduction will be made from the total score of a candidate if he/she doesn’t select any response for the question. For every question asked in this entrance examination only one out of the four responses will be correct. 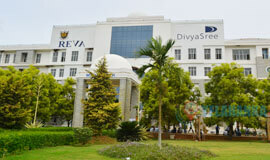 The computer based test and the pen & paper based entrance exam will be held on separate dates. 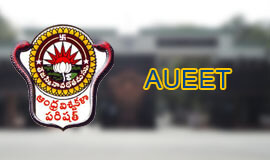 The Joint Entrance Examination (Main) - 2017 will be conducted on April 2, 2017 (Sunday) (Pen & Paper Based Examination) April 08th & 09th, 2017 (Computer Based Examination) for admission to Undergraduate Engineering Programmes in NITs, IIITs and other Centrally Funded Technical Institutions etc. To be eligible to appear for the JEE Main exam, age of the candidate should be less than 25 years. But, the age limit for candidates falling under the Scheduled Caste (SC), Scheduled Tribe (ST) and Persons with Disabilities (PwD) candidates is different. SC, ST and PwD candidates are given an age relaxation of five years and can apply for JEE Main if their age is less than 30 years. A point to be noted here is that candidates will be considered eligible to appear for JEE Main exam only on the basis of the date of birth mentioned on their Secondary Education Board/University certificate. 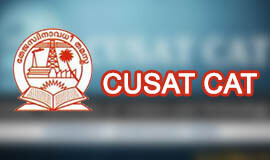 Aspirants who have passed their Class 12th exam or those who would be appearing for their Class. Aspirants who have passed Class 12th/Qualifying examination in previous year or two tear prior are eligible. Aspirants who have passed Class 12th/Qualifying examination 3 years prior will not be eligible to apply for the exam. From the year 2015 onwards, aspirants who will be appearing for improvement examination of class 12th have to appear in all the 5 subjects as per the scheme of study of the concerned board. Further, please note that in the percentile system, the total marks (of all five subjects)obtained/shown on the mark-sheet of a particular year are required in JEE Main and also in JEE Advanced. The marks from two different year’s mark-sheets cannot be considered for percentile calculation. The exam eligibility criteria for JEE Main mentions that interested candidates should have appeared for at least five subjects in their Class XII or equivalent qualifying examination. Thus, candidates who have studied just four subjects in their Class XII or equivalent qualifying examination are not permitted to sit for JEE Main. 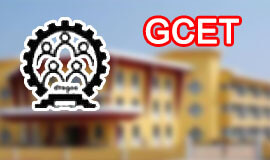 Candidates can appear for this engineering entrance exam for a maximum of three times. Also, candidates are advised to note as well as verify for themselves the eligibility for appearing in JEE Advanced. Candidates need to note as well as verify the eligibility for admissions into individual institutes through JEE Main exam. The states of Madhya Pradesh, Nagaland and Odisha have joined JEE (Main) system from 2014. Thus, the age limit, for admission to institutions in these states which were earlier admitting candidates based on their state level examinations, will be as per their past practice only. The number of attempts in such cases will also remain same as per their past practice. This will however be obviously not applicable for admission to IITs/NITs/IIITs/CFTIs. Candidates are eligible for admissions in NITs, IIITs and CFTIs on the basis of choices made by them in their registration forms as well as their performance in JEE Main. After the entrance exam is conducted, candidates will go through a counselling session where they will be given their All India Ranks for JEE Main. Based on this rank, candidates will be given a choice to select their preferred institute/engineering branch/programme at the appropriate time. 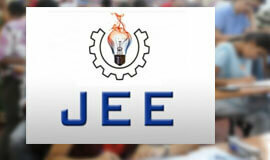 Thumb impression (left hand thumb for boys and right hand thumb for girls) at the JEE Main official website. As per the information bulletin – “The photograph should be colour or b/w (but clear contrast) with name of the candidate and date of taking the photograph printed on it”. 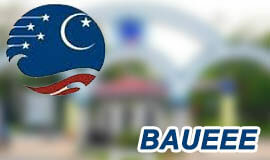 Further it states that the candidate’s photograph, “should be without cap or goggles. Spectacles are allowed. Polaroid photos are not acceptable. Candidates with unclear photograph are liable to be rejected. Candidates may keep 6-8 identical photographs in reserve for use at the time of entrance examination, Counselling and Admission”. Candidates need to supply all the required details while filling up their JEE Main online application form. After the candidate successfully submits his/her online application form for this engineering entrance exam, a Confirmation Page with their application number will be generated/issued to them. Candidates need to take a printout of this Confirmation Page and keep it for future reference. Candidates can pay the JEE Main application fee either through credit/debit card or by depositing fee in cash in the Syndicate/Canara/ICICI bank through e-challan generated during the online filling of JEE Main application form. JEE Main admit cards will be available for download as per the date mentioned by the conducting authority. Candidates can download the admit card from the official website of JEE Main by providing their roll number as well as the name of their Class XII Board exam or equivalent qualifying examination. Candidates are advised to thoroughly check their JEE Main admit card and ensure that all the information on it such as their Name, Paper, Gender,Date of Birth, Test Center’s Name, City, State Code of Eligibility as well as Category is mentioned correctly. In case of any discrepancy, candidates are advised to communicate the same to JEE Main Secretariat immediately so that necessary action can be taken. Candidates are advised to retain their admit cards for JEE Main till the time of counselling. JEE Main exam for BE/BTech will be conducted both as a computer based test as well as an offline, pen-paper entrance examination. Candidates need to reach the JEE Main exam venue at least 30 minutes before the commencement of the examination. This is necessary because candidates have to complete the JEE Main registration formalities before the examination. The registration desk for the exam will be closed five minutes before the commencement of the examination. Candidates need to carry a copy of documents as mentioned in the table below on the day of the examination and submit the same to the invigilator at the examination centre. Copy of Documents required to be brought and submitted to the invigilator at the center after writing JEE Main Roll no on it. Candidates, who qualified in class 12th/ qualifying Examination in previous years and have not opted for improvement of performance. Candidates, who qualified in class 12th/qualifying Examination in previous and have opted for improvement of performance in all subjects. Candidates appearing for JEE Main computer based test (CBE) will be provided with a sample/mock test on the official website of JEE Main. JEE Main CBE will be of three hour duration and consist of question from subjects such as Physics, Chemistry and Mathematics. All questions will carry equal weightage. Candidates will be provided a rough sheet for doing all their calculations/writing work at the examination centre and at the end of the exam, candidates need to hand over the rough sheets to the invigilator. Candidates who have selected the JEE Main pen and paper based examination will be allowed to break the seal of the test booklet five minutes before the entrance exam commencement. Candidate appearing for the exam should check carefully that the Test Booklet Code printed on Side-2 of the Answer Sheet is the same as that which is printed on the Test Booklet. However, if there is any discrepancy, then candidates should immediately report the same to the Invigilator in his exam hall and ask for a replacement of both the Test Booklet as well as the Answer Sheet. Be of three hour duration. Consist of questions from subjects like Physics, Chemistry and Mathematics. Candidates are advised to check their Test booklet and ensure that it contains all the pages as mentioned on top of the first page of the Test Booklet. The candidates also need to verify the serial number as well as the series of the Test Booklet with the serial number and series as mentioned on the OMR sheet. However, if there is any discrepancy in this, then the candidates are advised to alert the invigilator at the earliest and the same will be replaced. In JEE Main pen-paper based entrance exam candidates need to sign two times on the Attendance Sheet. The first signature needs to be put immediately after commencement of the examination whereas the second signature needs to be done at the time of handing over the answer sheet to the Invigilator. Candidates also need to put their left hand thumb impression in the space provided in the exam attendance sheet.